Do you remember the story about the Wheeler Chicken? 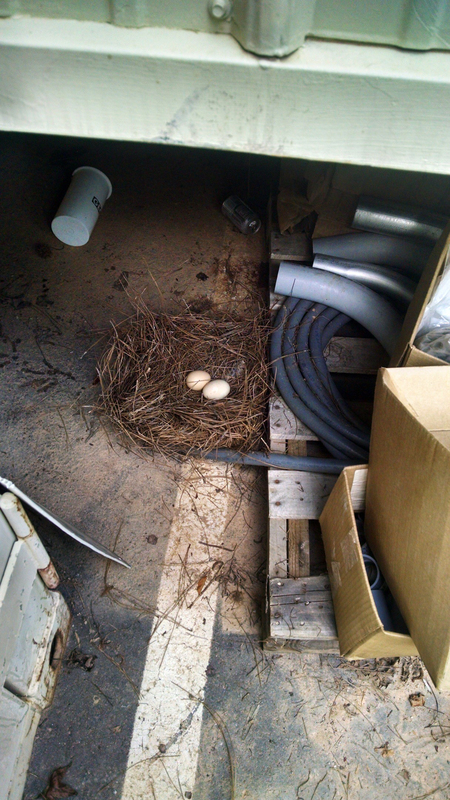 If not you can see it here: http://bit.ly/1In1tav John got a picture the other day of a nest with two little eggs in it! How fun!